Itihasa made itihasya...: Hot stuff!!! conquests, literature, science, religion and of course food – stuff that constitutes history’s subject matter, all have at one point of time had to contend with spice’s aura, charm, mystique and its imagined or real medicinal/gastronomic properties. Spices is so much part of our lives today that few would realize or recognize that we can learn a lot of ourselves and the world we liv(ed) in past and present. Given its widespread ramifications a study of spices would be a very appropriate way of getting kids interested in history. It would help in applying a ‘cognitively appropriate’ or to be more precise, a brain based method, to bring in greater appreciation of history for kids. Background – The teacher should remember that much of India and the world till the beginnings of the 20th century was largely agrarian where nearly 90% of the people were connected directly or indirectly to agriculture but yet food was usually in short supply. This is something that teacher should also put across to the kids. i. Have children taste both the rice. The pulao is evidently more tasteful than plain rice. The point made – Spices truly adds zing to blandest of food. ii. Ask the students find out the market costs of pepper, cinnamon, cloves, cardamom, chillies etc. The point made – spices were and are expensive. iii. Ask the class (may be in groups) to observe the menu of people living in a slum/village or rather a worker or a landless labourer and compare with their own dishes they eat for lunch. Discussion pointers - Archeologists estimate that by 50,000 B.C. early humans had discovered that parts of certain aromatic plants help make food taste better. To reconstruct what may have happened, we can imagine that few humans were about to cook a piece of meat in a pit. They saw some leaves and it occurred to them that if wrapped the meat could be kept free of grit and ashes. They covered the meat with the leaves and left it buried in the hot pit. Later, to their surprise and delight, they found that the leaves had given a new flavor to meal. At that moment humankind discovered the art of seasoning. But the more important question to be raised by the teacher – i. what does the difference in the eating habits of the people tell us? – Historically food has been more an utilitarian aspect of human existence. In pre-historic times recipes were, as one website put it: grain-free, bean-free, potato-free, dairy-free, and sugar-free. Ingredients used: meat, fish, fruit, vegetables, nuts, and berries. 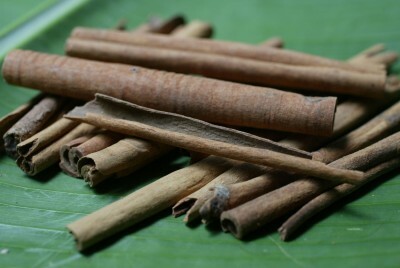 Cinnamon - the difference this can make to our biriyani! In the study of Roman culture, we have books for children which also tell us the exotique dishes that the patricians had in contrast to the plebians who lived on the blandest of diet. Likewise on the net one can access the net for different kinds of dishes that were consumed by the landed gentry both in medieval feudal Europe and medieval India. Check these websites for more of the whats, wheres and the whens of food…. A cursory check of these websites will reveal that much of the food consumed by the rich did involve the use of spices. The poor by and large, across space and time always consumed food in its rawest form i.e. uncooked, bland and a very limited spread of food items. 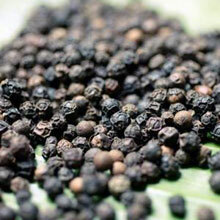 Black pepper - The classes in the west could not conceive their wines and any dish worth its salt(!) should boast of generous sprinkling of pepper! No wonder it was called black gold. Teaching process - i. Keep the remaining pulao and rice for few days. Notice which decomposes first. The point made – spices helps in longer preservation of food. ii. Divide the students into groups and ask them to find out the countries known for its spices by looking into encyclopedias and maps. The point made – spices are largely found in south India, south east Asia, south America. 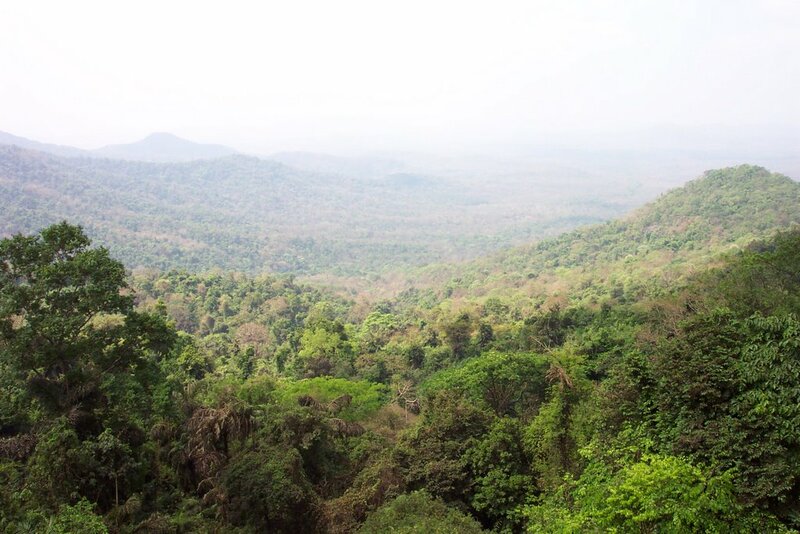 The point made – spices are tropical crops. Discussion pointers – Once the worth of spices in improving the quality of food was realized, spices have always been in demand till about the beginning of the 19th century. (Now why did spices cease to be important after 19th century?? While refrigeration was still a good century away, still the Europeans were no longer craving for this ambrosia as their ancestors have been for nearly two millennium. Why? In an very engrossing and highly enlightening book by Jack Turner, (Spice – The history of temptation, Jack Turner, London, 2005) it is pointed out that spices were in demand much more for its imagined than real properties. While it is true that spices had preservative properties and helped to conceal the smell of rotten meat and the excess salt that meat acquired while being kept in brine, spices were more of an exotica, whose possession was always sought after. Cloves, cardamom, ginger and pepper had more of a snob value than anything else. Therefore after Reformation and change in the value systems with the advent of scientific temper, the aura and values associated with spices were on the wane. By 19th century the culinary values had undergone a change where folks preferred to eat meat and vegetables bland. In fact Europeans began to look down upon spicy food and it was at this point of time that oriental food came to be regarded spicy, something to be looked down upon or an attribute of eastern exotica, the oriental ‘other’. It is important for the teacher to incorporate any study of colonialism beginning with spices for it was the insatiable craving for spices that brought Europeans to India, south east Asia, Africa and South America. All the European nations, beginning with Portugal, followed by Sapin, Netherlands, England and France began undertaking their ‘discoveries’ and ‘explorations’ across the seas seeking a steady, cheap supply of spices to satiate their gastronomic proclivities only to be sold for a fortune to their ‘taste-starved classes’. It would be useful to reiterate the much stated fact how trading with the Arabs did not really help matters for the Europeans who had to pay very heavily for the spices. Often it is forgotten that the Europeans did not seek India’s material resources and our markets to begin with but came more for something which hardly exercises our imagination and occupies a very miniscule mindshare. i.e. spices. It was the industrial revolution which on hindsight made it incumbent upon the Europeans to look for markets and raw materials like cotton, sugar, coffee, etc. 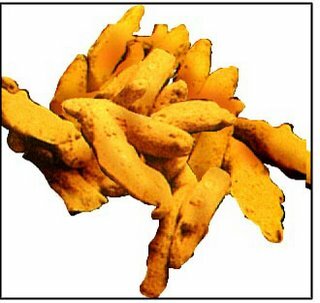 Turmeric - Where do you think the world's finest antiseptic cream 'Burnol' came from? Background – It can well be argued that spices in India were and are more valued for its medicinal values than gastronomic. 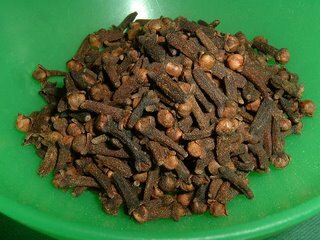 For example clove oil is synonymous with tooth trouble and likewise pepper is an important ingredient in the concotion made for all bronchial ailments. There is this village in the Sahayadri range in Karnataka. The village is quite remote and the nearest doctor is a good 50 kms away. But people do fall sick and yet they do not seem to greatly miss the absence of professional medical doctors. 2. Find out the medicinal properties and significance of few of the spices. 3. We discussed earlier that spices are expensive – so if they are expensive how can the villagers afford them? Why are they expensive in the first place? 4. Ask the students to find out (largely through the internet) some medicines available as syrups and tablets to deal with cough, colds, toothache, stomach problems, antiseptics etc which are based on spices. This is one of the important paradoxes of spices today- greater demand for it in cities and elsewhere in the world as an important cooking ingredient has greatly shot up the price of spices making it increasingly difficult to the people living in the western ghats to have access to them in their times of utmost need. This is an important aspect of modern India where big national and multinational drug companies discovering, rather rediscovering, the medicinal merits of these spices and herbs are patenting them to factory produce drugs hence creating a spiraling demand for them, pushing up its costs, and hence local people themselves who grow spices for their domestic use are finding it difficult to use it for their necessesties. I heard the syllabus has changed, sir. it's been designed along the lines of your ideas looks like. Excellent presentation,do look out for some spellings though!